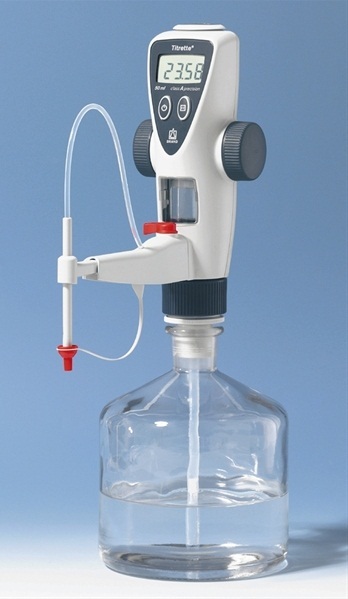 High accuracy : Precise titration within the error limit of Class A for glass burettes. Smooth, low-force operation : For sensitive, drop-wise titration. Compact design : Light and stable. Easy Handling : No switching between ‘fill’ and ‘titrate’. Simple maintenance : Cleaning and part replacement right in the lab. PC interface (optional) : Data transmission directly to the PC. Titrette® SH : To determinate the acid content of milk and liquid dairy according to Soxhlet-Henkel.